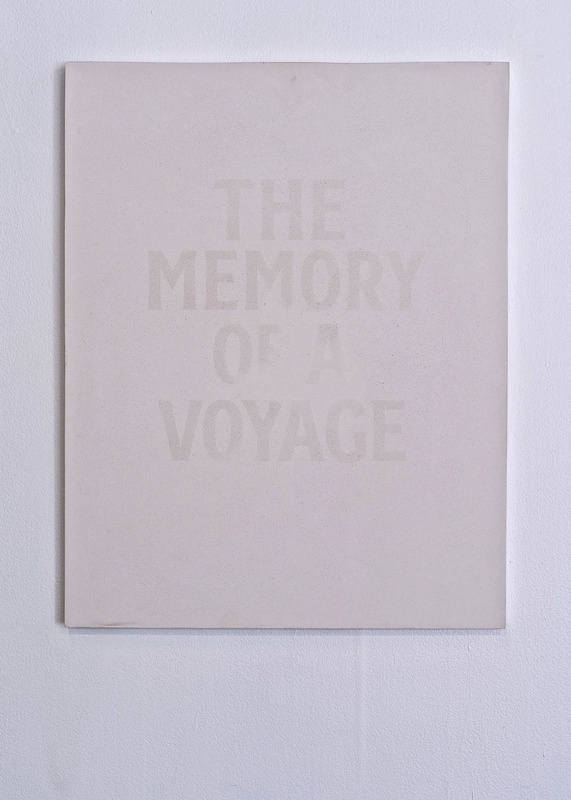 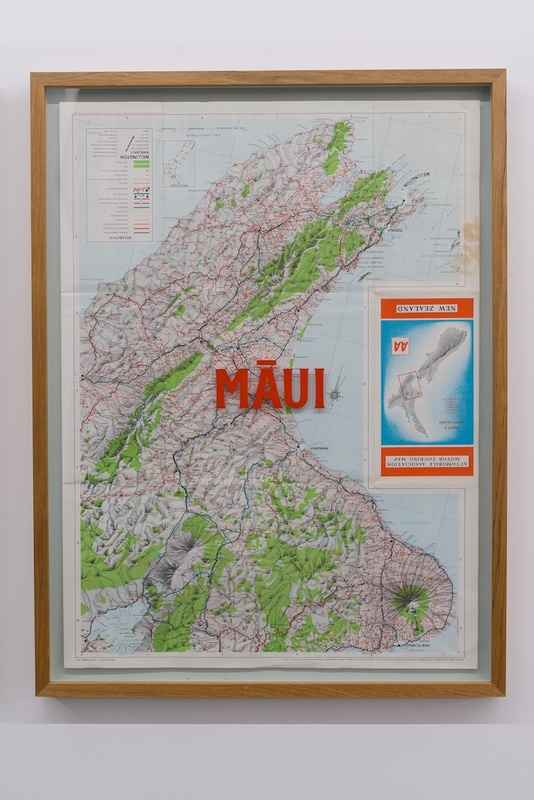 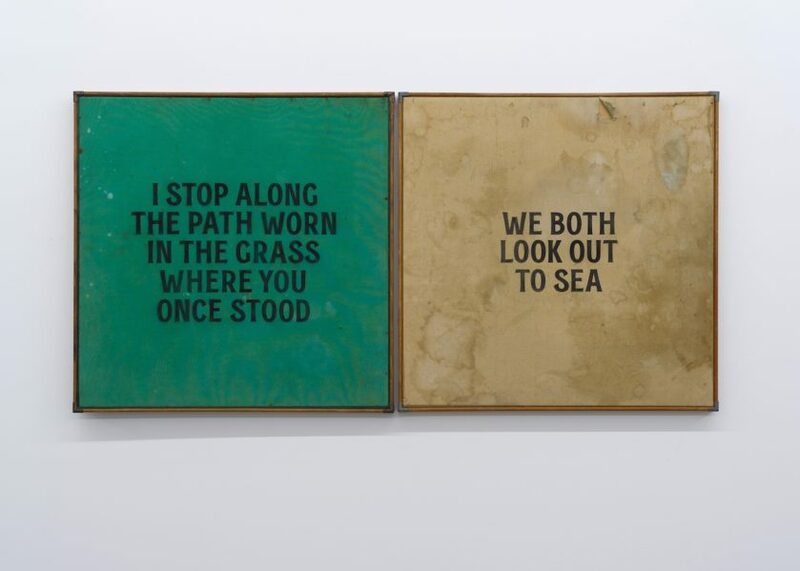 Elliot Collins’ Memory Markers includes a trio of text paintings, a pair of sculptures using French Bay oyster shells, a suite of single-edition photographs, a 4-part work created from found maps, and a poem. 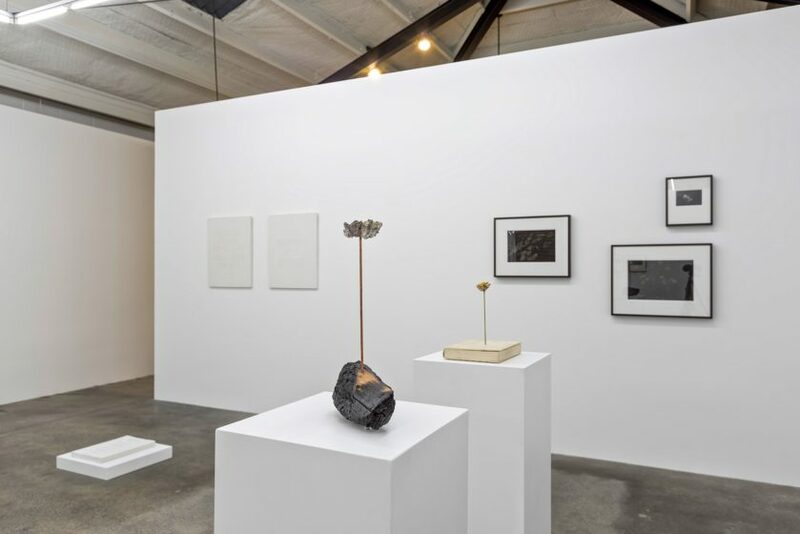 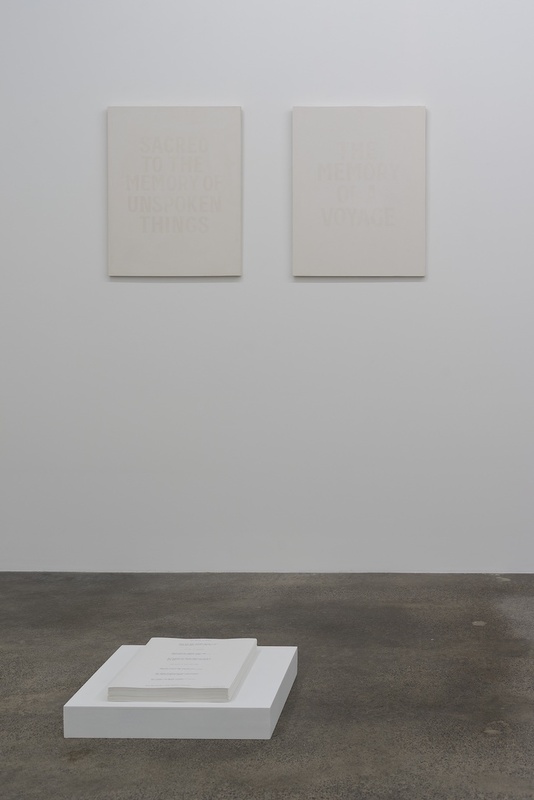 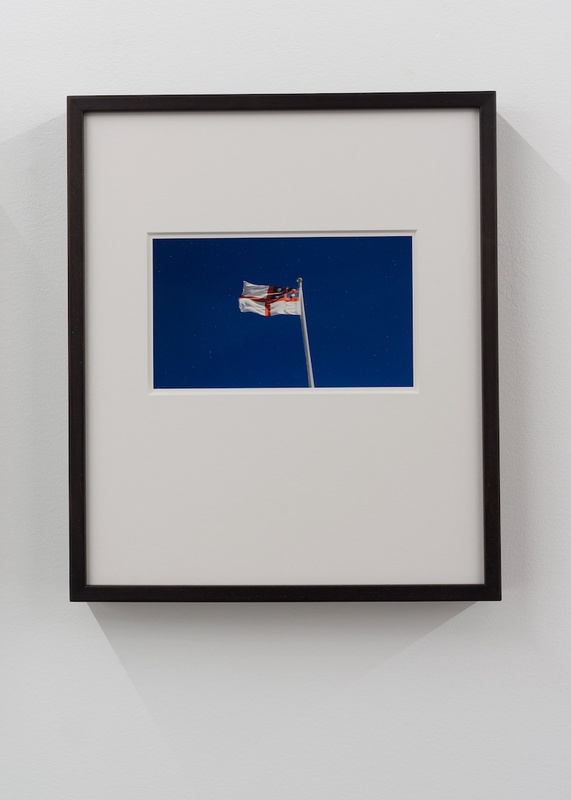 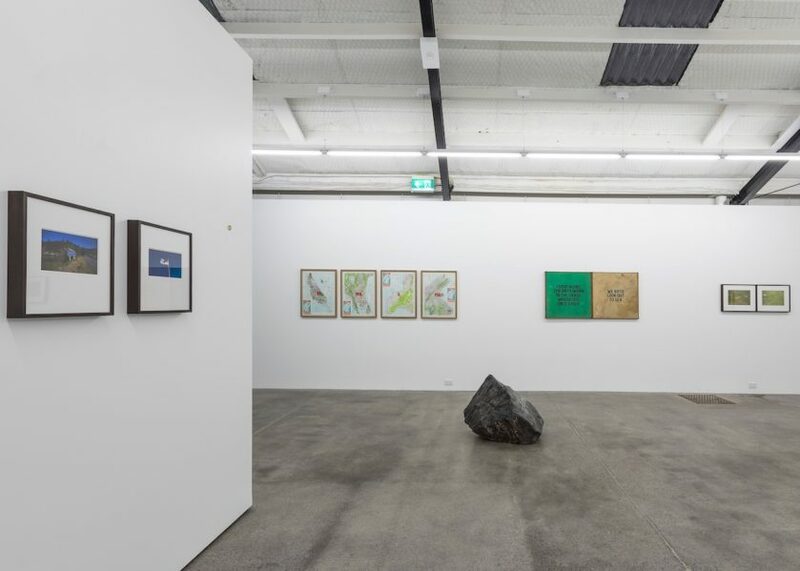 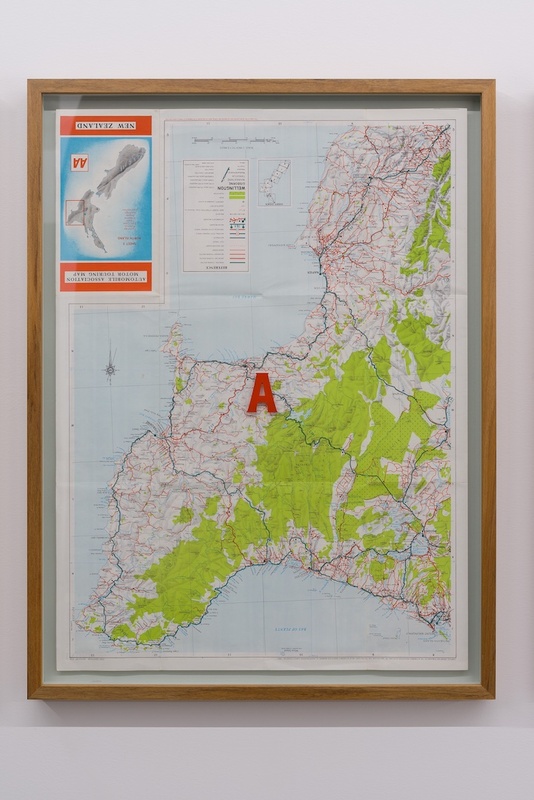 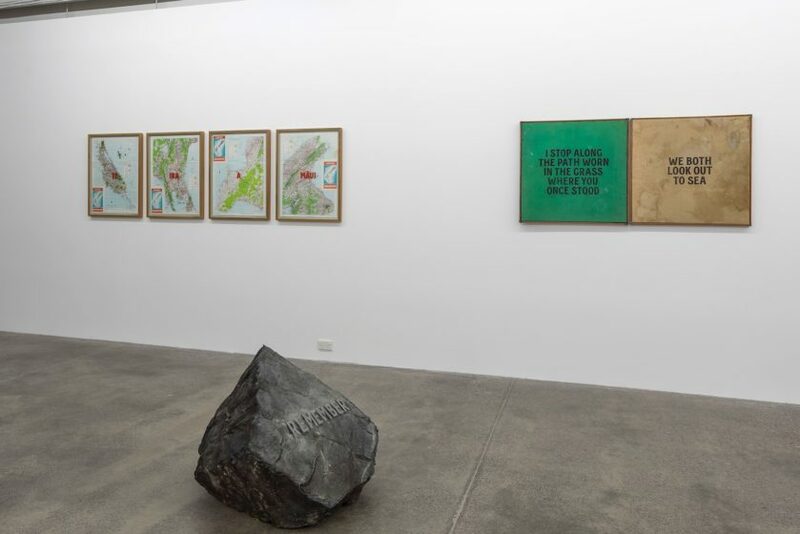 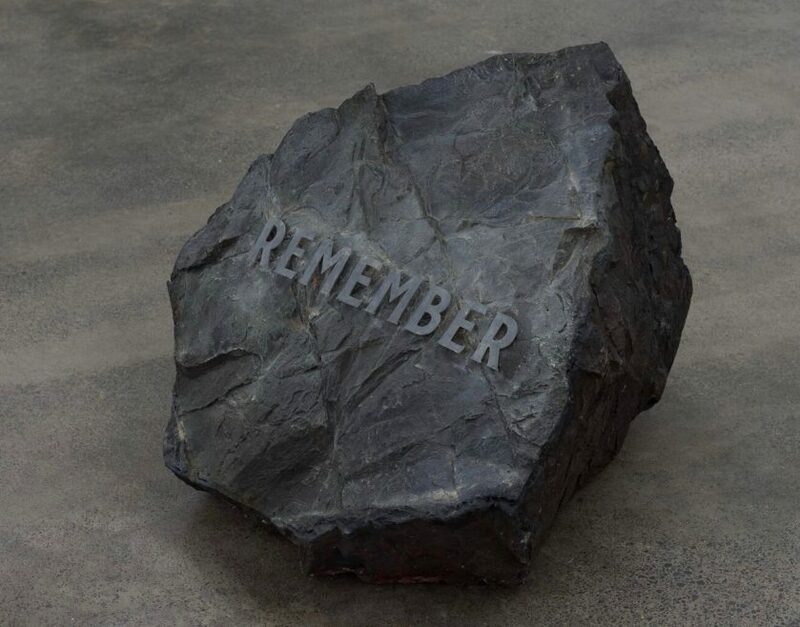 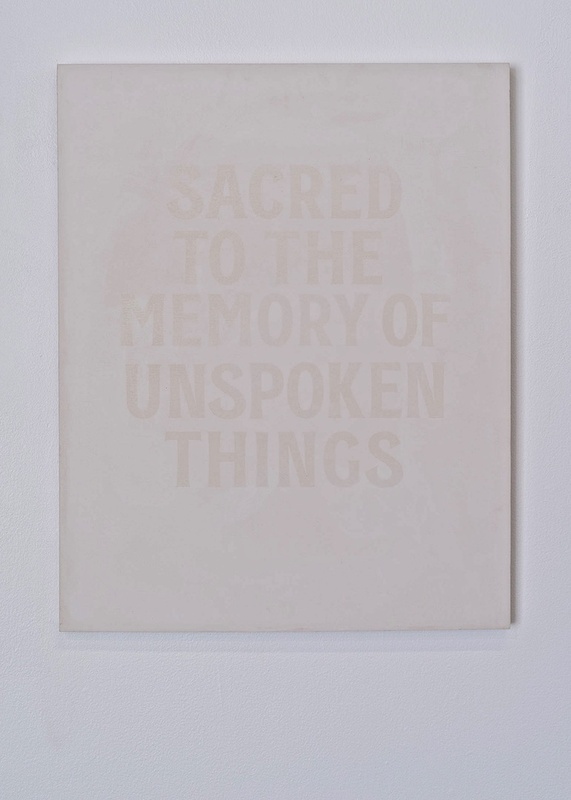 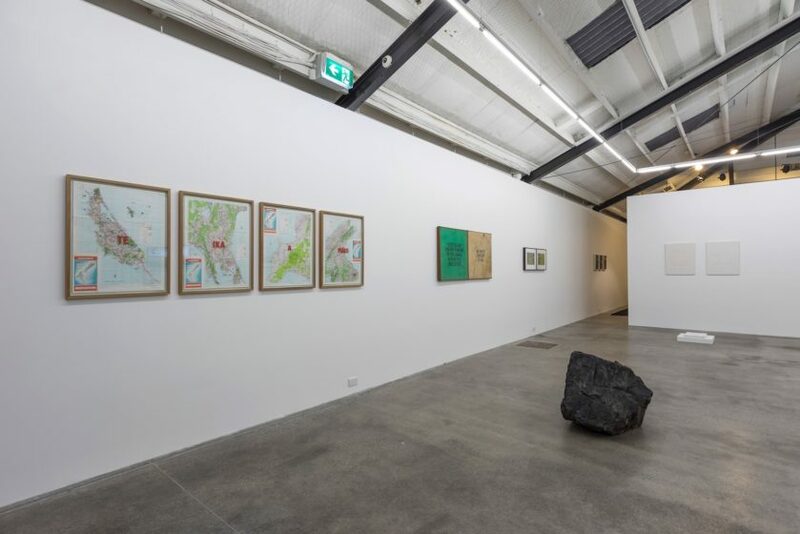 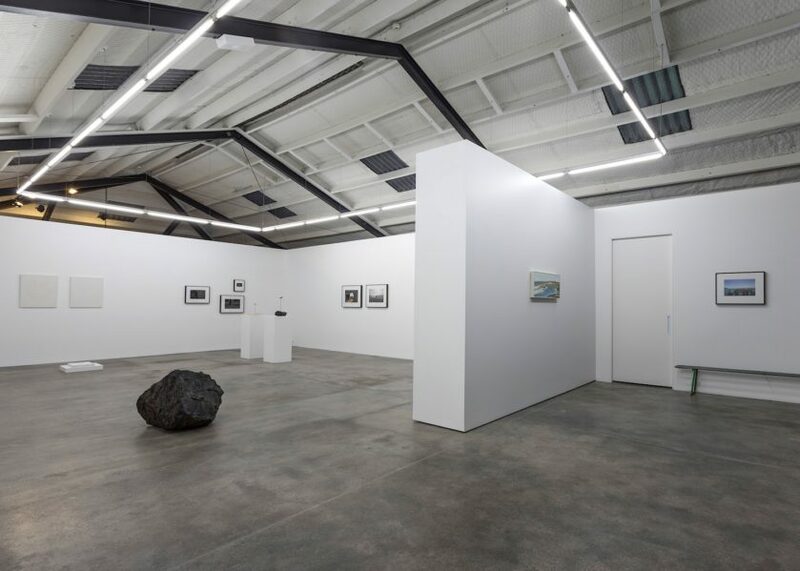 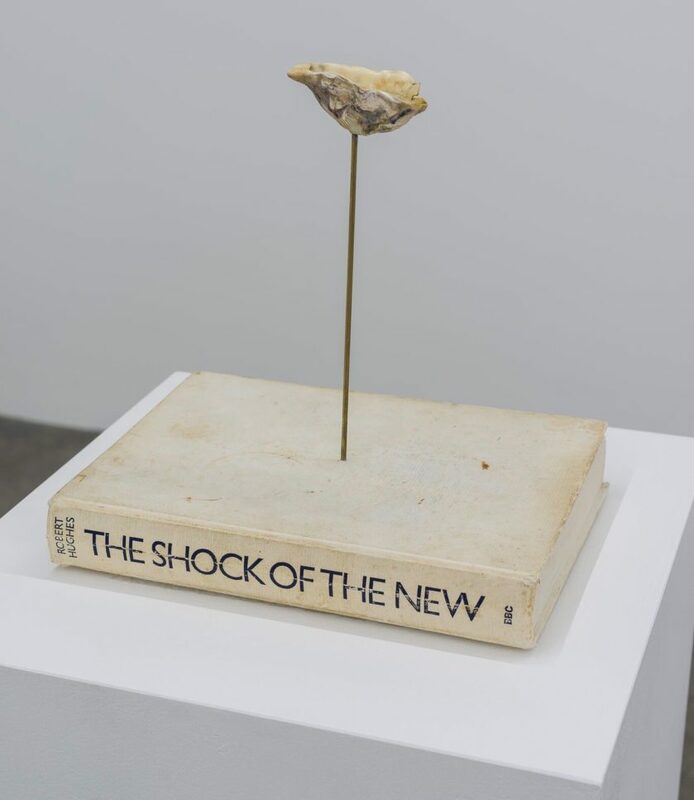 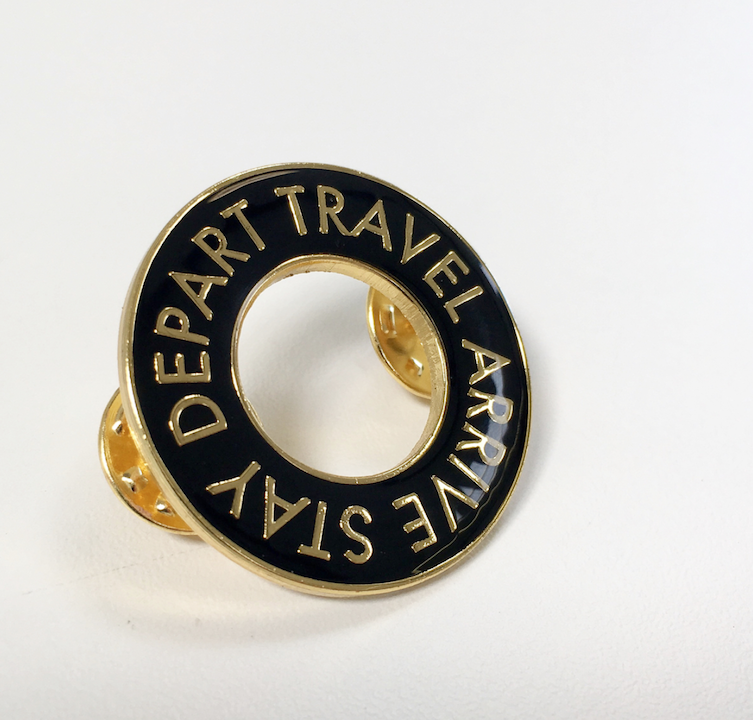 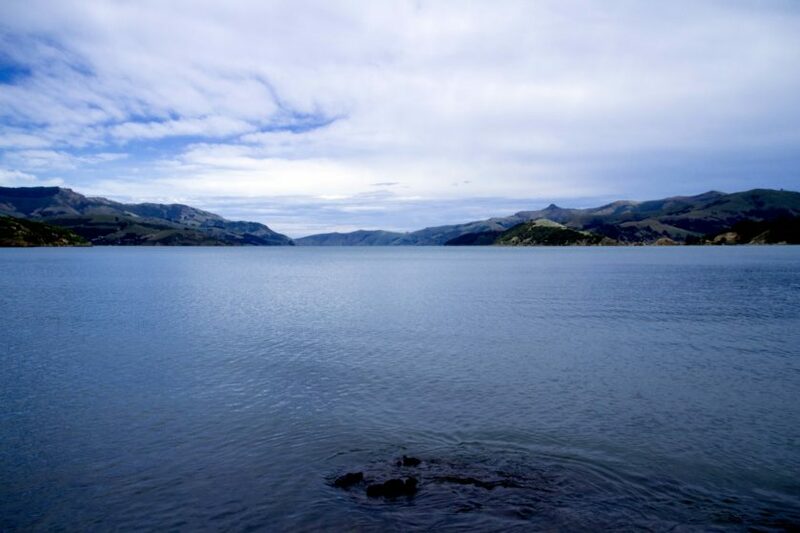 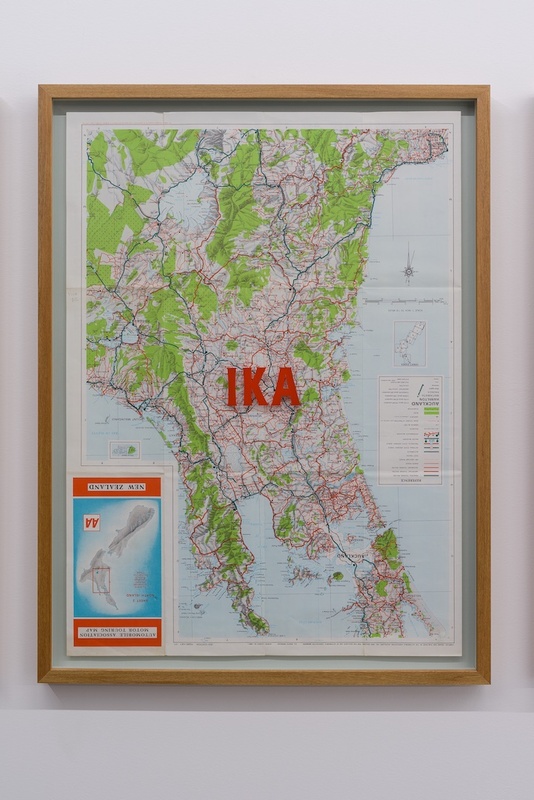 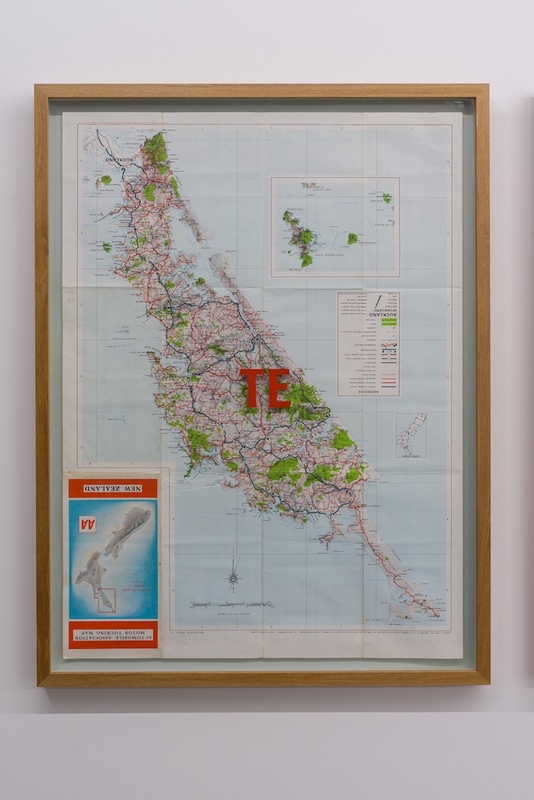 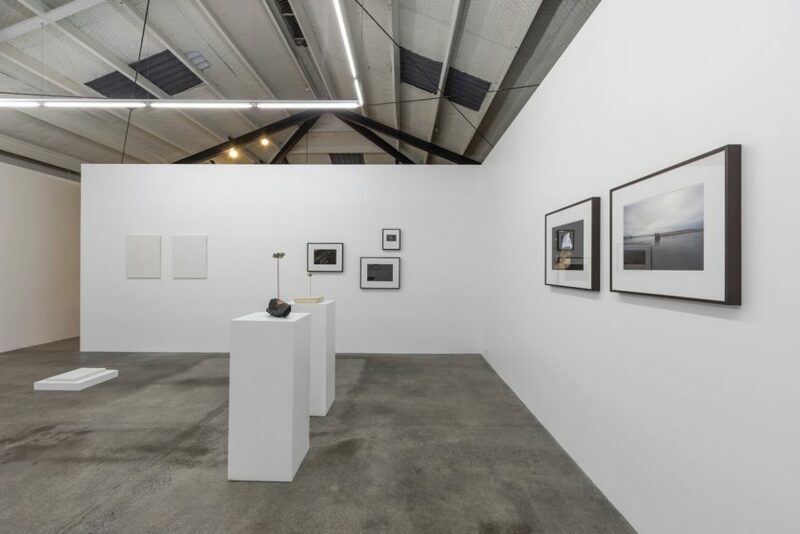 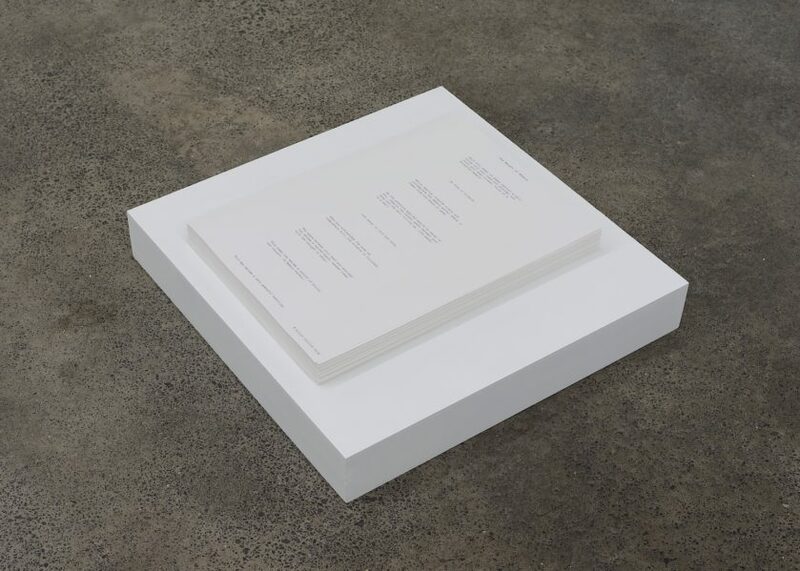 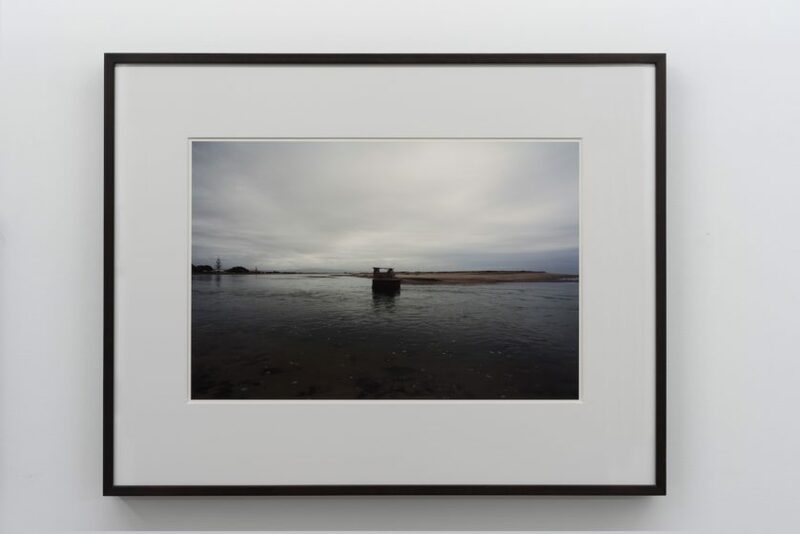 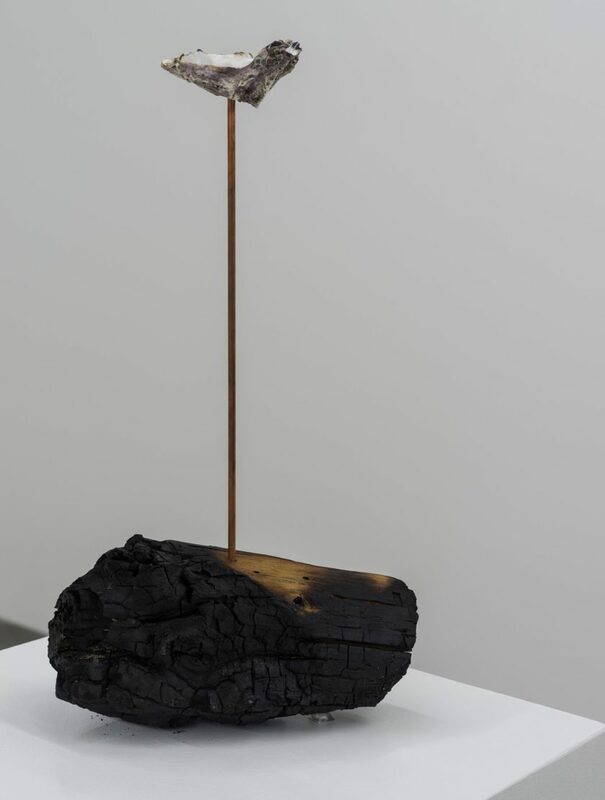 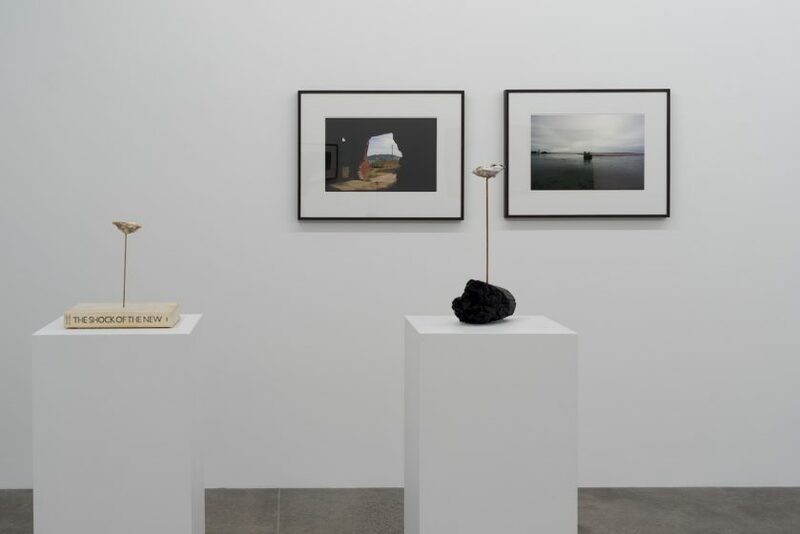 The exhibition is the artist’s tenth at Tim Melville and is a partial re-iteration of his 2017 PhD show, Surveyor, where he considered ideas of place-naming, absence, silence and speech within the monuments, memorials and ‘memory markers’ of Aotearoa New Zealand. 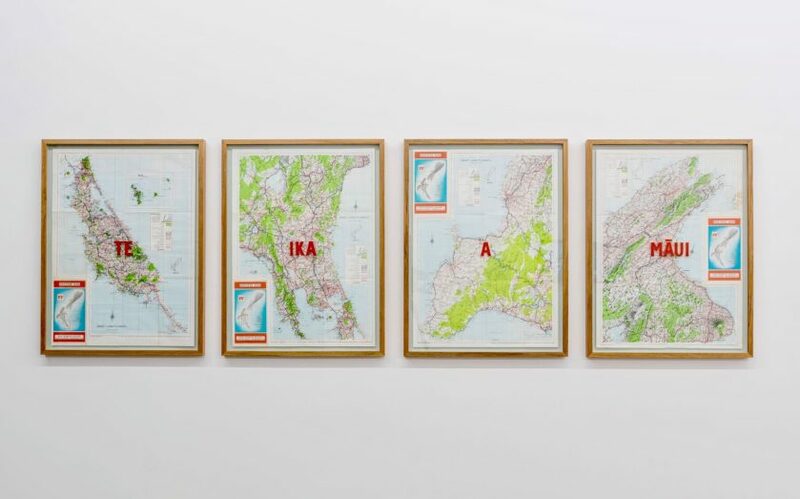 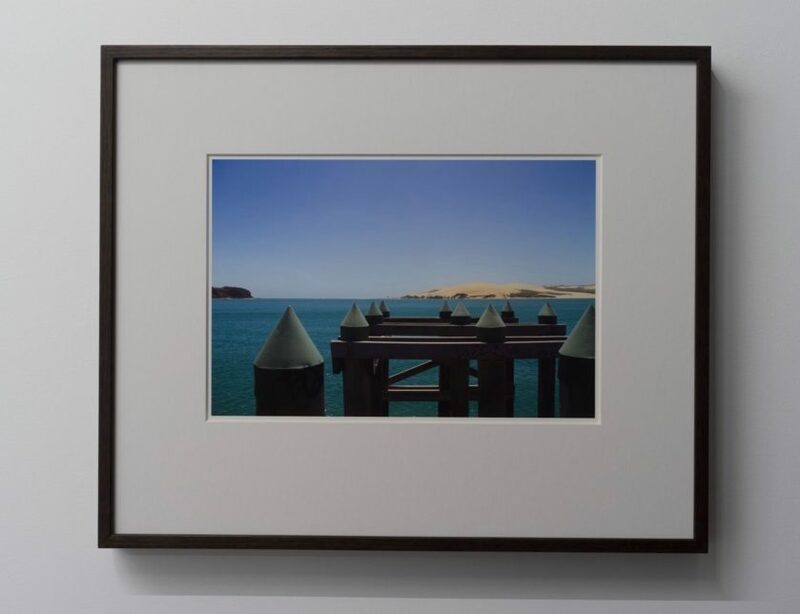 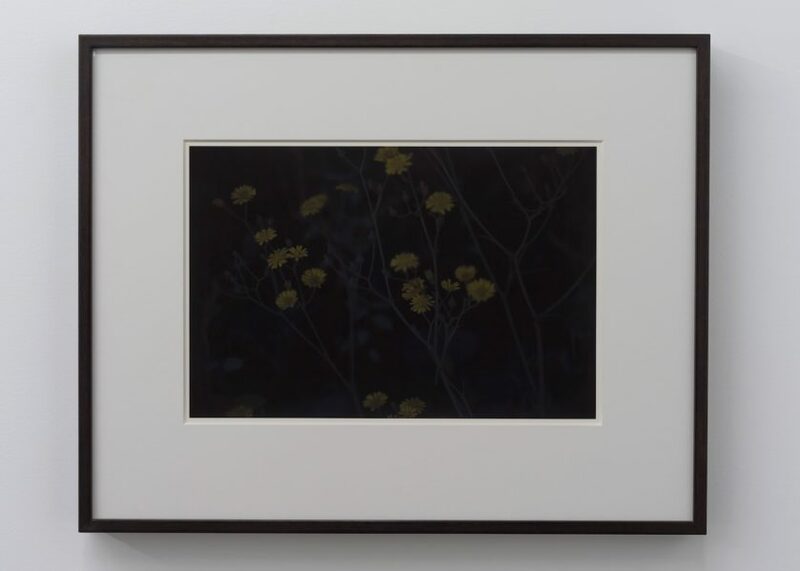 As a non-indigenous landscape artist born in New Zealand Collins is interested in investigating the ways his multidisciplinary studio practice relates to historical artworks, to modernist perceptions, and to local traditions of landscape painting. 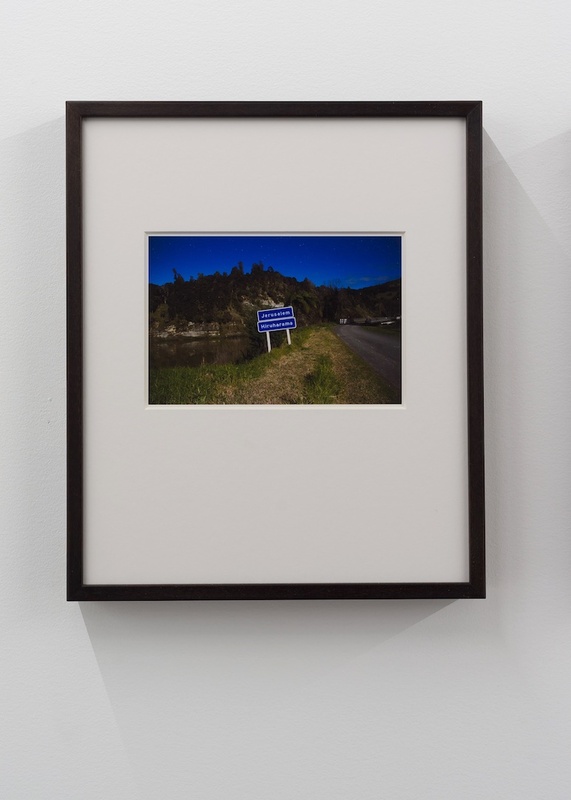 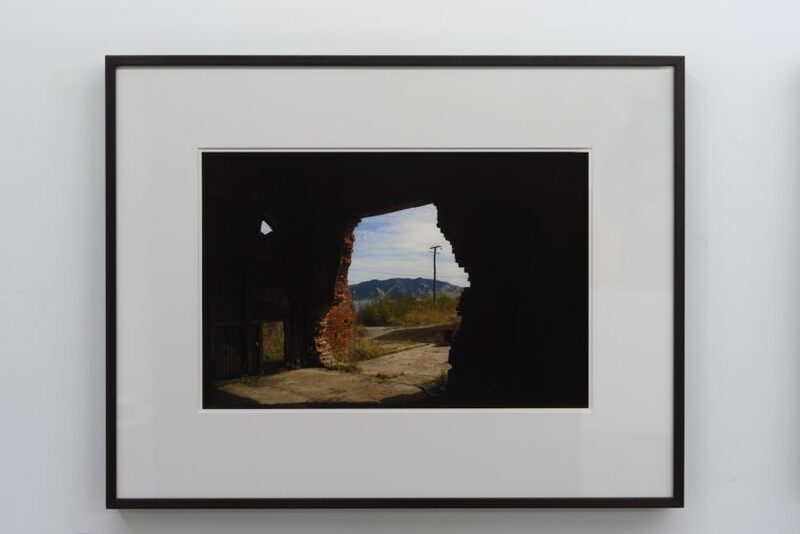 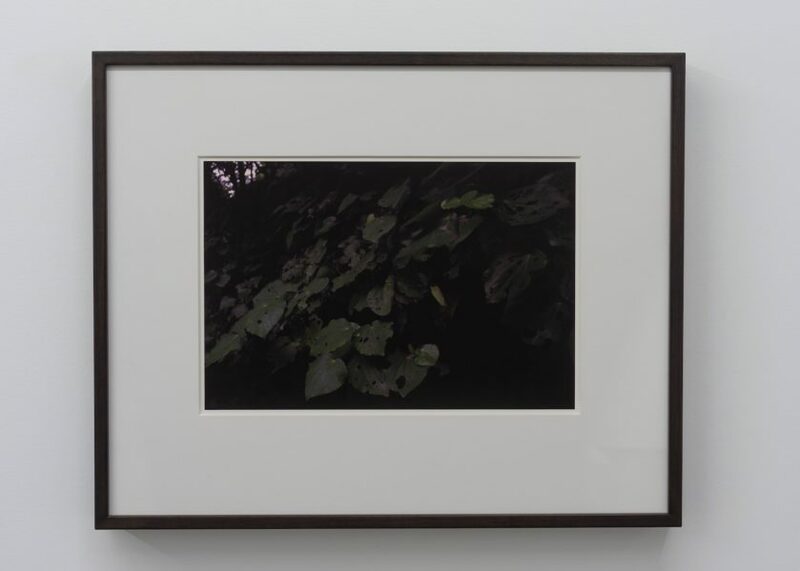 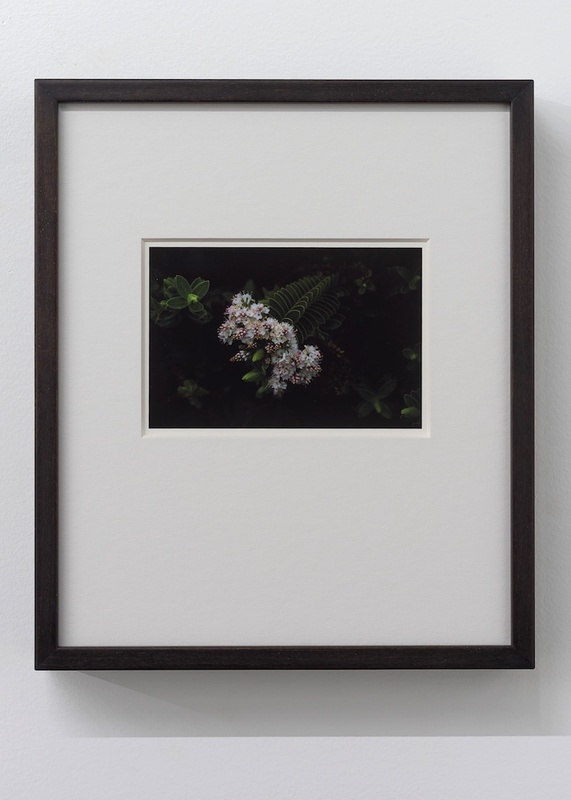 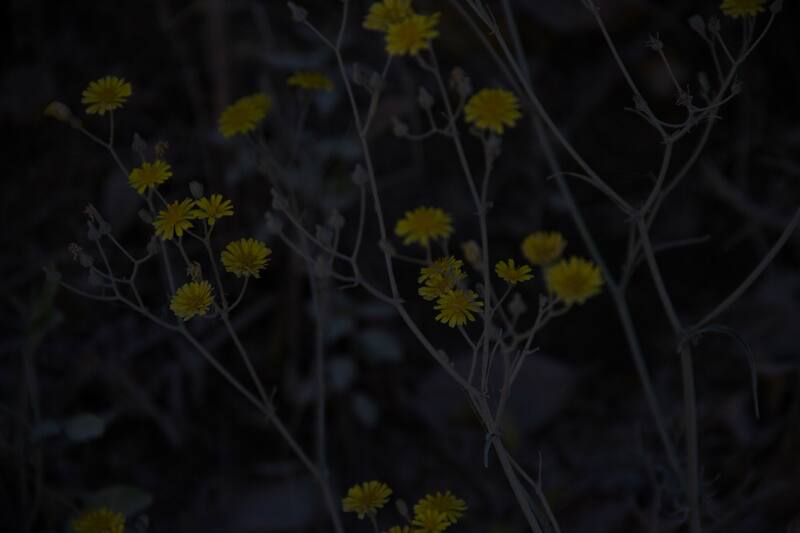 By walking the tracks and paths of certain memory markers, and by observing and referencing human intervention in the landscape, Collins hopes to reveal the lingering effect of complex memory within our social spaces.